Talented fast bowler Jimmy and his sister, Izzy, have just moved from Perth to Adelaide. Both are huge BBL fans – Perth Scorchers, of course – but while outgoing Izzy has already signed up to the local cricket club, Jimmy isn’t sure he’s ready to be part of a new team. Especially if they’re all Adelaide Strikers fans! 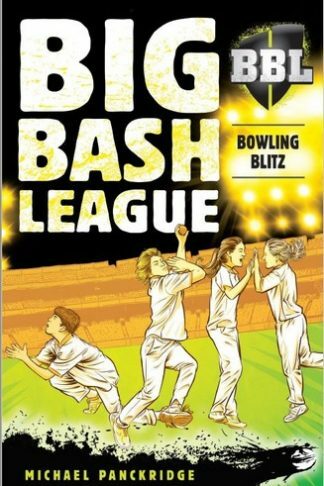 Then one day, Jimmy has a run-in with a kid and his dad from a neighbouring cricket club – they want him to play for their team, not Izzy’s. The dad seems seriously desperate and Jimmy is sure something fishy is going on . . .
Will Jimmy find the courage to join the local club and let his bowling do the talking?